The economic simple security solution. 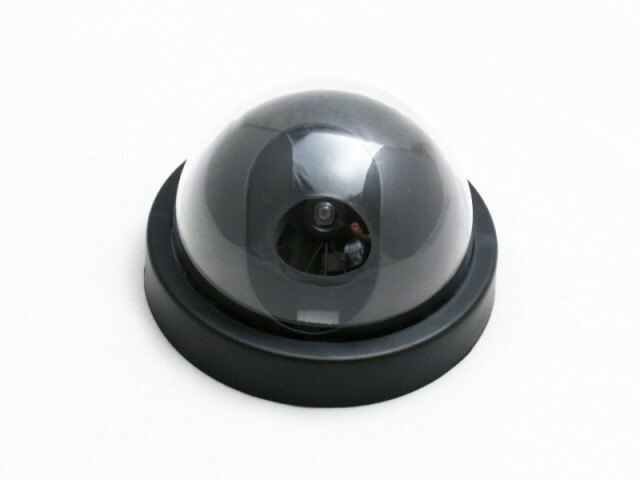 The Dummy Dome Security Camera provides you with quality surveillance without high cost. 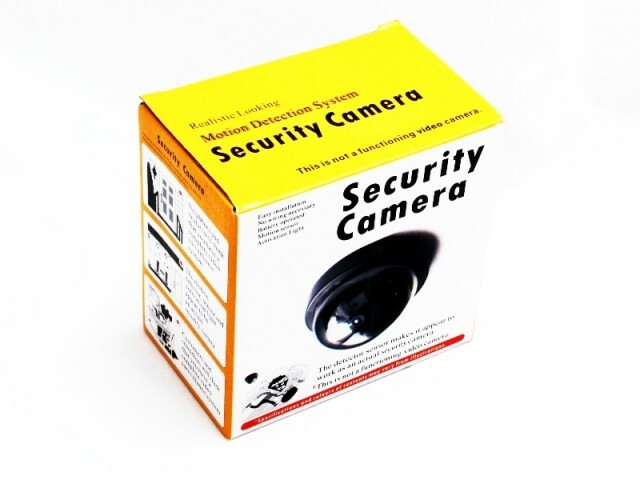 Designed to imitate highly sophisticated security cameras in appearance, this camera will deter criminals who will instantly think that the premises are guarded by an accompanying high-tech surveillance team. With its built-in motion detector, the Dummy Dome quickly detects movement, flashing a red LED light instantly for up to 20 seconds. The camera will then stop and reset until movement begins again. Conveniently mounted on the wall or ceiling, the Dummy Dome can work in dark rooms. 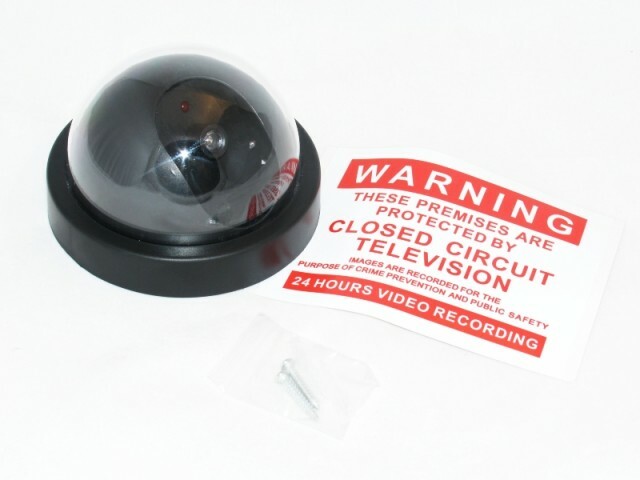 Affordable Dome Camera for Remote Surveillance: ElectroFlip offers an affordable dome surveillance camera designed to mimic high-tech security cameras used in sophisticated surveillance systems. Works In All Lighting Situations: The Dummy Dome works in all lighting situations, taking criminals by surprise when the red LED light flashes in a darkened room. Built-in Motion Detector: The built-in motion detector detects motion instantly, flashing a red LED light for 20 seconds. The camera stops and resets until motion begins again. 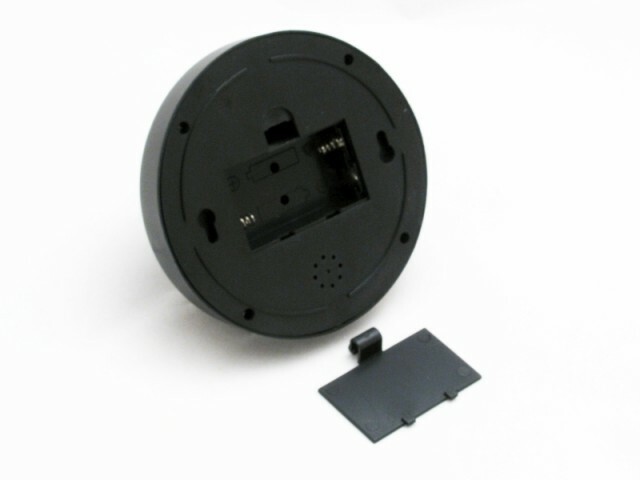 Easy Mounting: Easily affix the camera to a wall or ceiling using included screws. Small Convenient Size: The dome is 3" high and the base is 4 1/2 " in diameter. Standard AA Batteries: The unit requires just 2 AA batteries for months of operation.